After spending 30 days on a ship conducting research on the Antarctic ocean, I was going to get to visit my first penguin colony and I was so excited! I pictured in my mind cute little penguins, like the ones in the movie Happy Feet, jumping around rocks and playing in the water. 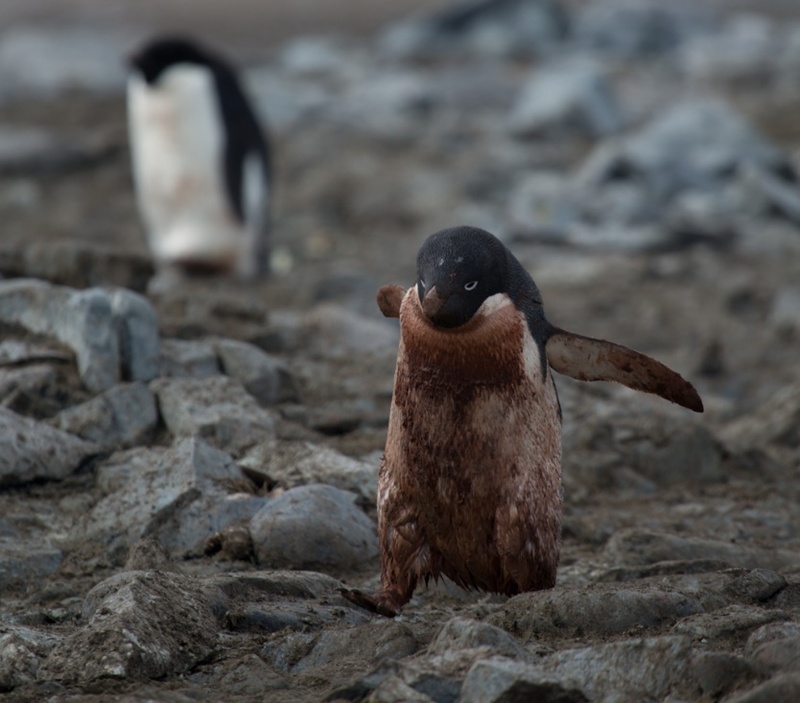 When I stepped on the island where the colony of penguins were located I immediately asked myself, “what is that smell?” I looked around to see most of the rocks on the island covered in this reddish brown gook. It didn’t take me long to realize this was all poop. Gross poop. Honestly, the worst smelling poop that has ever graced my nostrils. The penguin colony I got to visit, located on Anvers Island, Antarctica, is home to a species known as Adelie (a-deli) penguins. Unfortunately, due to warming temperatures in Antarctica and ice melt, their populations have decreased rapidly. However, a small community still remains and scientists have been studying the population for almost 30 years. 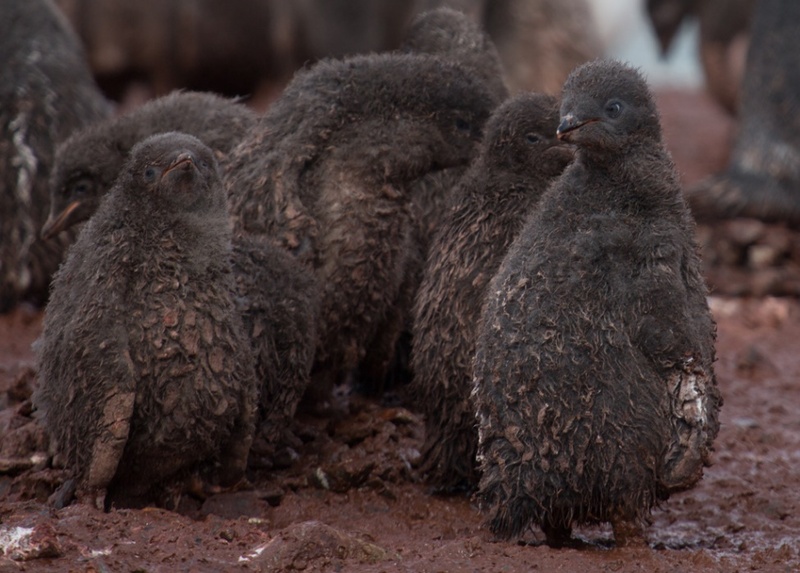 In early January, penguin chicks will hatch and they look like cute hairy puff balls. The first few months of their lives, they are fed by their mother, who collects krill in surrounding waters. This process is similar to birds we see in our backyards where the mother bird collects worms for their chicks to eat. Like the birds in our backyard who need to learn to fly, penguins need to learn to swim and this can take some time. Before chick penguins learn to swim, they are continually eating and pooping all day long (just like human babies)! Hence, most of the penguins on the colony I visited, looked and smelled like poop because the chicks didn’t know how to swim. Most were just a month old. 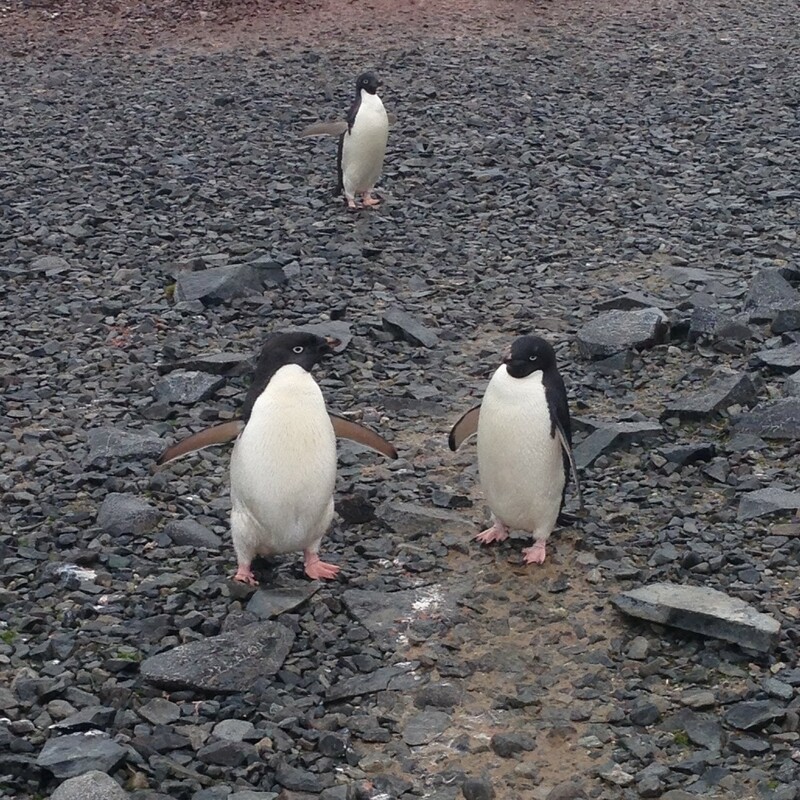 While my research focuses on krill, the food that penguins eat, it was a highlight of my time in Antarctica to see these amazing creatures, which only exist on that continent. As a scientist, getting to explore new places is one of the highlights of my job and one of the main reasons I decided to go into grad school in the first place. So, the next time you see a cute penguin on tv, just remember that most of them aren’t really that pretty, but they’re still awesome! 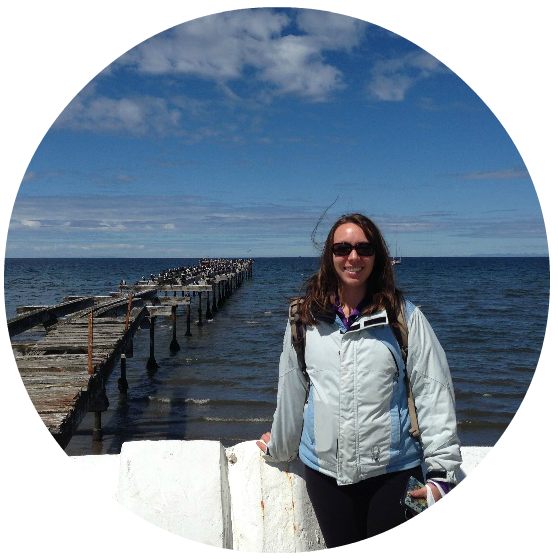 I’m a graduate student at the Virginia Institute of Marine Science studying zooplankton in Antarctica. Zooplankton are the tiny drifters of the sea that eat phytoplankton, the plants of the ocean, and are also eaten by larger predators. Every January, during Antarctica’s summer, I spend 30 days on a research ship along the Western Antarctic Peninsula (below Chile) catching zooplankton, such as krill, with nets we tow behind the ship. I hope to understand how the abundance of zooplankton is impacted by climate change, which is important for determining how larger animals we’re familiar with, like penguins and whales, may be affected.